Ok, I admit it, value is my most overused word. It’s because I love the word. What do product managers and innovators create for customers? Value! How about organizations? They create value. What do customers want? The products they purchase must provide value — more value for them than other product options provide. How do product managers want to be seen by those that they work with? As someone who is valuable –again, creating value. Yes, value is central to product management and innovation. It’s also an important term to my guest who has explored various models of value. He is the author of the weekly Pivot Product Hits, a newsletter for product managers on digital product strategy. 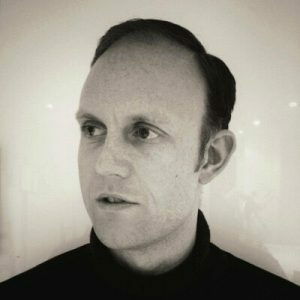 He has been a Product Manager, creating digital products and services, for over 15 years, and is currently the Managing Director of Castle in the UK. His name is Paul Jackson. What is important about creating value. The Almquist model of value. How to discover what customers’ value. How did the Pivot Product Hits newsletter come about? The name came about as I was looking for a Twitter handle around the time that the Lean Startup book was published. The notion of a pivot caught my attention and the handle was available. At the time, I had worked for 10 years as a user experience designer and for a few years as a product manager. I sensed that product management was going to become a significant discipline in the future. At the time there were few British bloggers writing about product management. I wanted to be one of them and write about my observations. My early posts were about bringing lean practices to corporate settings. While that is rather standard now, at the time is was a very new concept for rigid corporate environments. Frame the concept of value for us. Value is extremely relevant in product management conversations. It is at the heart of challenges product managers face. Consumer choice and the decisions involved when making product purchases are not rational. We make decisions based on a subjective view of gains and losses. The constitution of value is grounded in these irrational decisions but refracted through the lens of gains and losses. In the world of digital applications, there are far too many choices available to consumers. The ability to understand what informs consumer choice is a ninja skill for product managers to make their products stand out from competitors and appeal to users. What are the elements of value? There are many value models to consider, from Alan Klement’s Job Story to Alex Osterwalder’s Value Proposition Canvas. One of the most exciting contributions to this topic is from Eric Almquist and team at Bain. Extending Maslow’s Hierarchy of Needs, they represent the elements of value as a pyramid stacked in four layers (shown below). All together, they identified 30 elements of value. The four layers, starting at the bottom are: Functional Elements, Emotional Elements, Life Changing Elements, and Social Impact Elements. Many products directly compete on functional elements of value. However, Almquist’s research shows the opportunity to find Blue Oceans and increase profit margins is by competing on emotional elements of value. Apple is a good example that does this well. An interesting finding is that the best companies in a category are only better than their competitors on around 8-9 value elements. Consequently, success does not mean excelling in all 30 elements of value. Parity on most elements while excelling in 5-8 elements important to consumers is a good starting point. How do you discover what customers value? There are two approaches – Pull and Push. Pull starts with the research and understanding customers’ needs and then builds a product to meet those needs. Push starts with a founder or evangelist that has a passion for solving a problem they have encountered. In my work, the two are often combined. A founder has a vision for a product and pushes to get the first version into the marketplace. A product manager then working closely with users can add value to the product. You need to be asking users the right questions to evolve the product properly. We need both qualitative and quantitative data from users. The first is the “why” and the second is the “what.” Product managers need to combine both to create a well-informed product roadmap. You should use every possible channel you can to get access to users for conducting interviews and asking for responses to surveys.